BRUCE TOWNSEND COOK selected as artist – congratulations! The first ARTscapes Project will launch on Wednesday, May 15, 6-8pm at the Main Street Building, 7 south Main Street, Omak, WA (the former Main Street Bar and Grill). 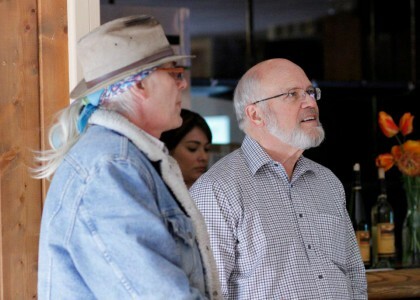 We invite you to join us to meet the artist, Bruce Townsend Cook, listen to live music, sip Okanogan Estates Wine and celebrate the confluence of ART and business in economic vitality! Food, wine and beer will be available for purchase throughout. The Main Street Building Project, the first in the ARTscapes series, is a collaboration between NCW Loan Fund (the property owners) and Methow Arts Alliance (project presenter/manager). NCW Loan Fund graciously supports the project by loaning their space to an artist through the coordination of Methow Arts Alliance for 3-6 months or until the building sells. The selected resident artist for this project is Bruce Townsend Cook of Riverside, Washington. He will use the vacant space as an ART studio for glassblowing and metal work. His work can be viewed in several different locations including the Breadline Café, the Methow Valley Inn in Twisp and the Tonasket Cultural Center. Townsend Cook is also a talented teaching artist who works with students, grades K-8, through the Methow Arts Alliance – Arts Education Program in seven school districts. After the May 15th opening, Townsend Cook will hold regular hours at the space, inviting the public inside to view the art-making process and see his creations. 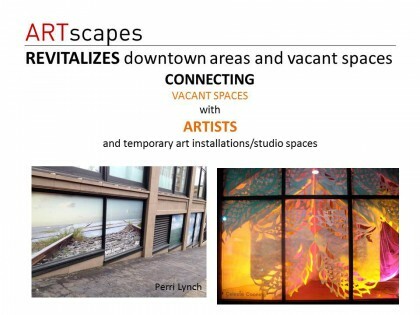 ARTscapes is a creative response to times of economic challenge. It transforms empty storefronts and vacant space into dynamic points of interest through artistic energy and enterprise, making towns in Okanogan County stronger and more active. The project works with artists, realtors, and property owners to activate empty storefronts with art and creative enterprise. The goal is to rent/sell the property and at the same time to help in revitalizing downtown areas, increasing pedestrian traffic to area businesses, enhancing tourism and supporting artists as entrepreneurs.